Modern kitchens are usually spatial and well illuminated. Kitchen projects in detached houses are much more various than in apartment blocks due to more space and more varieties of room arrangement. Due this project, by opening kitchen to living room we optically make both rooms bigger. House-holders may see each other, but interiors of the modern kitchen and living room must interpenetrate. 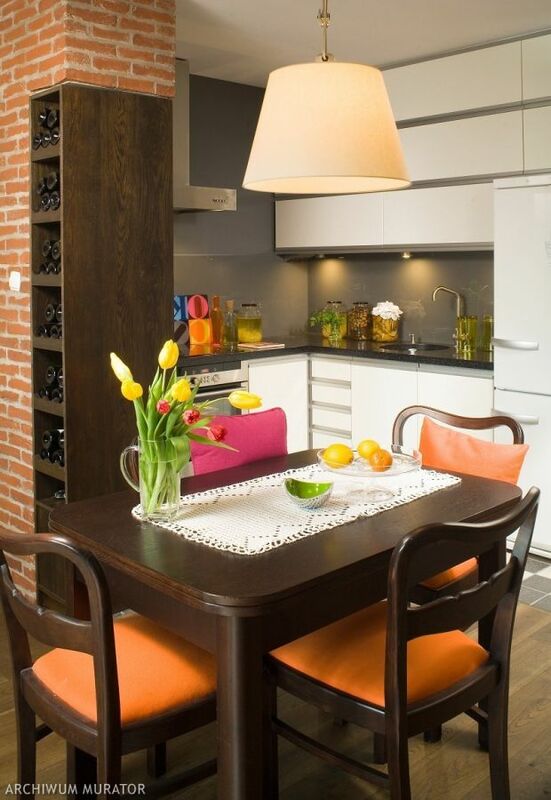 Modern kitchens opened to living room requires furniture and materials used to be color- and style-fitted. It is good if both rooms are connected with even floor. In big kitchen we can distribute comfortably furniture and house equipment, or make an island, or family dining room. Modern kitchens usually have really thrifty arrangement, with no unnecessary adornments. Developments with simple fronts- varnished usually with high glance, and with glass. In this type of kitchen usually most of the equipment is hidden in lockers and drawers, only necessary or decorative elements are visible. Modern kitchens walls are usually made of wood, glass but also rock, stell or chrome. Kitchen. How to set up beautiful and comfortable kitchen? In a well arranged kitchen you can easily fit all equipment and prepare meals without making unnecessary miles. Look up the triangle conception of kitchen and how to design worktops and closets for development. Rate your kitchen. Check for mistakes in your kitchen arrangement, and look up what changes can you make.